You are invited to take part in the first ever Writing Assignment Tune-up Workshop for WIC faculty and hosted by the WIC program staff! Writing assignments in WIC courses often involve multiple layers of complicated scaffolding, draft sequencing, and peer reviews. To help students understand, we write assignment sheets and descriptions on Canvas to explain what we expect, why we expect it, and when work must be completed. Sometimes our writing assignments could use a second pair of eyes to catch moments of potential confusion before our students encounter them. At the request of several seminar participants, the WIC Program is organizing an informal workshop for opportunities to connect with colleagues willing to give and receive feedback. Come on over to Milam 215 on January 24th any time between 3:15-5:00pm (open house). There will be refreshments. Join WIC faculty from across our campus to work toward making writing assignments better! Posted in Fall 2016, Resources. As many of you may already know, OSU is transitioning from Blackboard to Canvas. 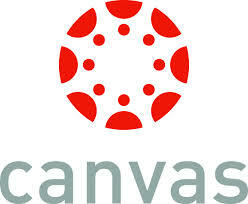 Many instructors have already started using Canvas, but everyone will be required to make the leap by the fall of 2015. These types of transitions can be difficult for some instructors, especially if they are a little less tech savvy or comfortable with the current system. To ease this transition, OSU is periodically offering campus-wide presentations and workshops. Additionally, Lynn Greenough and Brooke Howland are holding open labs in Waldo 320b every Tuesday and Friday at 9am and every Wednesday at noon. These two women are extremely helpful and can answer many of your Canvas questions. I sat down with Brooke Howland with a few questions of my own. I wanted to know how Canvas was going to help the WIC instructors with their online and face-to-face courses. Brooke kindly showed me many of Canvas’s useful functions for writing instructors. To begin, Brooke explained that Canvas is more student-centric than blackboard, which is very useful for writing instructors because it allows for students to collaborate with each other and the instructor more easily. These collaboration tools are easy to access and use. Once the user logs in to Canvas, a series of tabs appear on the left of the screen. Some of these tabs are: Announcements, People, Conference, Pages, Collaboration, and Chat. The Announcement and Discussion tabs are similar to Blackboard, but they also offer new options. For example, in the spirit of student-teacher collaboration, the Announcement feature allows for students to respond. These student responses can be seen by the entire class, which is beneficial if a student’s questions and comments are shared by other students. And as Brooke Howland adds, seeing questions and answers in a thread can lessen the amount of repeat questions an instructor will directly receive. The Discussion tab operates much like the Discussion feature in Blackboard, but threads can now be pinned and video, text, and even voice can be incorporated. What this means for instructors who use discussion boards for collaborative learning exercises is that really important or reoccurring threads can be pinned, which permanently places them at the top of the thread list. Additionally, any discussion thread can be used with traditional digital text, but now students and instructors can respond with video or audio. One Oregon State writing instructor, Sara Jameson, uses this feature in her online writing course to introduce students who would otherwise never see each other. Jameson explains that students in her online class, who live all over the country, upload videos introducing themselves, and then they are asked to comment on other student’s videos to acquaint themselves with each other. Video and audio are actually available in many of Canvas’s features. Brooke explained to me that the conference, chat, and peer review features all offer video collaboration. The Conferences tab uses the “Bigbluebutton” feature (I suggest looking at the YouTube tutorial: https://www.youtube.com/watch?v=lx8NbVDPpoY) , which allows an instructor to video conference with just one student, or simultaneously with several students. This feature is extremely helpful in online courses, because the instructor can see the student’s computer screen, if they allow it, which enables students to look at their work with their instructor. The student and instructor can use digital drawing tools to mark on the documents together, as well. Sara Jameson also uses this feature in her online course for office hours, required conferences, and even peer review (students can use this feature without an instructor present). There is a separate peer review tab, which includes the options to randomly assign peer review groups and manually assign peer review groups. Sara Jameson uses the conferencing feature to do peer review, however, because it offers the ability to chat and review work in real time, where the peer review feature only allows for documents and videos to be uploaded into more of a discussion board type platform. Both of these features are sure to be helpful in assisting in peer-to-peer collaboration, depending on the instructor’s preference and style. The Pages and Collaboration features also aid in collaborative learning. The Collaboration feature links to each student’s gmail account (students can choose which one, but Jameson recalls that most will link it to their onid account), a function that aids students in sharing documents and links via Google docs. Pages acts just like a Wiki page, where the instructor creates a thread, adds students to the thread, after which students can add and delete information from the page. Sara uses the Etherpad function in the Pages tab to create collaborative wikis, where all student changes can be tracked. Grading also becomes quite a lot easier with Canvas. In the SpeedGrader tab, instructors who have students turn writing assignments in digitally can comment and mark on the document itself. There is also a rubric function that can be used to score and comment on student assignments. Instructors can even respond via video or audio message, whereby student can respond—if the instructor so desires. As mentioned earlier, Canvas is truly a student-centered program. Centering students in writing is one of the main principles of collaborative learning and Writing Intensive courses. Even though transitioning to a whole new teaching system can be daunting, we believe it will be worth any temporary inconvenience in the end. We should all be excited for this transition, because Canvas is sure to ease the burden of a large class size, the grading of process/iterative writing assignments, peer-to-peer collaboration, and the limitations of online courses. Posted in Canvas, Resources, Winter 2015. As the digital world becomes more and more a part of the academic landscape, the ways in which we teach writing must adapt. Many instructors already teach online courses, and almost everyone uses Blackboard or Canvas in some way to supplement face-to-face teaching. Yet, as the climate of the university changes, shouldn’t our pedagogical methods also change? In some cases, this question is completely rhetorical, especially for those who are already teaching online courses and now must change some of their tried and true teaching strategies; some assignments and activities just simply cannot be done online. As more and more instructors find themselves trying to adapt their writing activities and assignments to digital formats, the WIC staff has been frequently asked for suggestions to ease this transition. While there are many available online resources for the teaching of writing, the wiki is one we would like to spotlight today. According to Wikipedia.com, the best known wiki, wikis are web applications that allow people “to add, modify, or delete content in collaboration with others.” Unlike blogs and similar applications, wikis have no defined leader or owner, and they use a very simple markup language to add content and to structure the site. For tips and suggestions on how to effectively use wikis in the classroom, we asked Oregon State’s Dr. Ehren Pflugfelder, who is an assistant professor in the school of Writing, Literature, and Film, and focuses primarily on technical/professional writing, rhetoric, and the teaching of writing (http://ehrenpflugfelder.com/). We sat down with Ehren to discuss simple ways wikis can be used in the classroom, online or face-to-face, to better promote a collaborative, virtual atmosphere. Pflugfelder began by explaining to us that there are many types of wikis, including Wikipedia wikis, which catalogue information in specific ways. Encyclopedic wikis can be used for collaborative projects, but they are best used for editing already existing pages and teaching structure and style, because they have “talk” pages where people can discuss how pages are organized and structured. 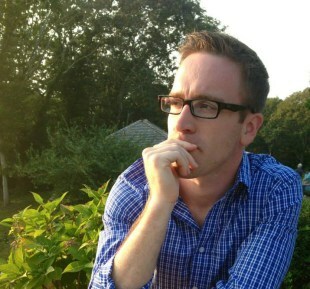 Pflugfelder cautioned, however: “If instructors want students to create Wikipedia pages, there are a lot of resources on Wikipedia, but they should have students create actual Wikipedia pages—not idiosyncratic assignments that don’t fit the Wikipedia mold. Wiki pages that are not in the Wikipedia style will likely be radically changed or taken down.” If instructors do choose to use the Wikipedia genre as an assignment, there are Wikipedia pages that explain how to write effectively on Wikipedia. Wikipedia assignments could potentially include “meta” elements, where students can reflect on why they decided to keep the information they kept and why they organized information in specific ways. If instructors do not want to have students create Wikipedia pages, but rather use blank wikis to create new content and pages, there are many types of appropriate wiki applications. There are many websites that can be used to build wiki pages, but some of the easiest and more frequently used are: Wikispaces (http://educationalwikis.wikispaces.com/ ), Wikia (http://www.wikia.com/Wikia), and Pbworks’ wiki ( http://www.pbworks.com/wikis.html). These wiki building websites require creating an account, but they are all free. Once a blank wiki is created, the instructor can then share the url of the newly created page or give students the appropriate login and password. After students access the course’s specific Wiki page, they can then add, edit, and structure content online in that virtual space. Pflugfelder explained that assignments can be made with these types of wikis to talk about definitions, say in a science course like biology. Students working in groups can, for example, build definitions of something like a plant cell in order to develop a wiki page. If students have differing opinions, then they can choose the definition they believe is most accurate. Those types of changes will be tracked, so all students get credit for participating even if some of their contributions don’t make the final cut. Pflugfelder also recommended teaching the importance of citations through wiki pages. An instructor can use a wiki page as a repository for information uploaded by students that, for example, might be on an exam—a study guide generated by the students. The instructor can obviously control some of the content if it is not relevant or accurate. But the students would need to provide citations for their information in order to gain credibility with their peers and instructor. Group research projects can also be assigned using wikis. Pflugfelder explained that many group projects are successful in wiki pages because students can see the structure of assignments and information, and use subsections and links to create additional structure. For example, if the topics of different group projects are completely different, then they can use separate wikis. If topics are related, however, the separate wiki pages can be linked together as subsections. In an engineering course, to give one example, an instructor could have students generate a page about factors of safety. Students could construct the page throughout the term, while the instructor monitors their progress, like journal writing. The instructor can then see if they edited, what they contributed, and when the work was done. Almost any group assignment that requires students to collaborate and contribute information to a singular or scaffold project can utilize wikis in a virtual space. There are many ways to use wikis for educational purposes. We have provided just a few examples, but please do not feel limited to these suggestions. If wikis might be something you would like to try, and the above examples wouldn’t work in your courses or with your pedagogical approach, consider assignments you already use and try and adapt them to the wiki format in a way that best suits you and your students. Posted in Fall 2014, Resources, Wikis. In early December, OSU Libraries is transitioning to a new library system for finding books, articles and other information resources. While the new system will look and work a bit differently, all the same content and services are available. Library users will still be able to get full-text content via 1Search and request delivery of books and articles where immediate access is not available. Perhaps the biggest change will be learning to search the catalog via 1Search. 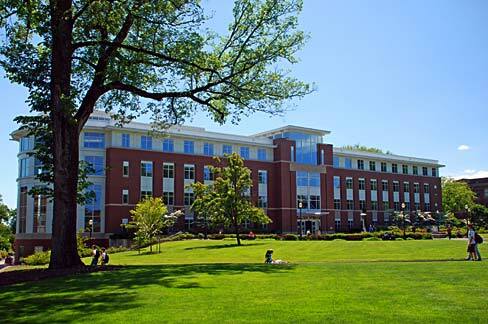 This is a big transition for OSU Libraries and its 36 Summit partner libraries. It was designed to improve resource sharing among the libraries, thus making it easier for all of our patrons to access a wide variety of resources. As always, please Ask Us when questions arise. 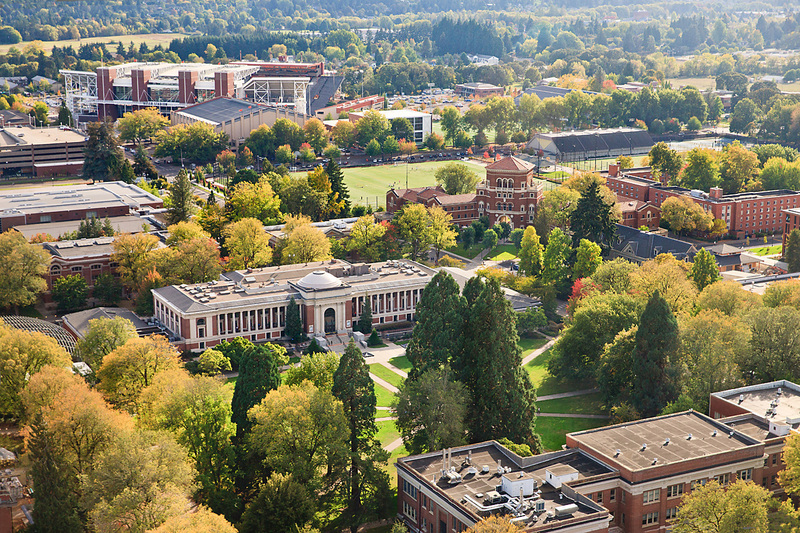 Posted in Fall 2014, OSU Libraries, Resources.